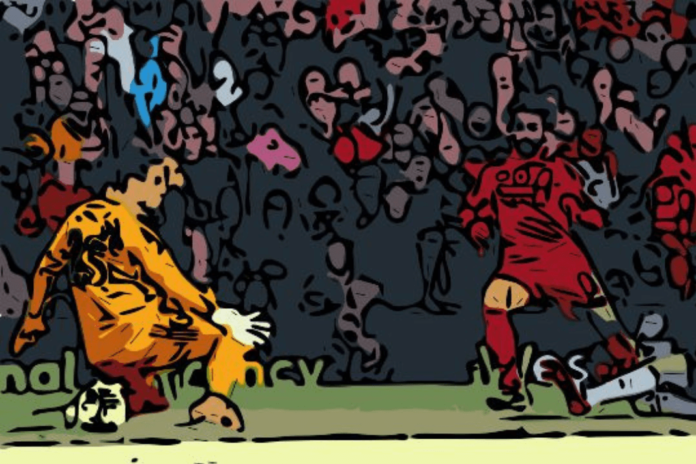 Tactical Analysis: Should Liverpool be happy with Fulham result? That really could not sum up any better how I feel about beating Fulham at the weekend. We did exactly what was required of us, we got over the loss in Belgrade and we were back to being the flat-track bullies we have been so far this season. Does this result deserve a ‘meh’? Was it really that bad of a game? In terms of entertainment, definitely yes. In terms of importance to our season, certainly not. Fulham have had a heavy time of it lately. They had lost all of their previous seven games going into this one, they have been derided by pundits and fans alike for their lack of cohesion defensively (was bound to happen after bringing in about nineteen defenders in the summer), and, just today, they replaced their manager before even sacking him. I mean, if this isn’t a club waiting to be relegated then I really do not know what is. This could even surpass the 2013/14 season when they were relegated after having three managers that season. Fulham could out-Fulham themselves! Scary thought. They came to Anfield on Sunday afternoon with all of this at the back of their minds. Honestly, you’d have forgiven their fans for not even bothering to haul themselves out of bed at four bells in the morning or choosing to stick with Goals on Sunday instead. We, as Liverpool fans, had the mouth-watering prospect of Mo Salah, Sadio Mane, Bobby Firmino and Xherdan Shaqiri, going up against Tim Ream, Maxime Le Marchand, Callum Chambers and Sergio Rico (Fulham’s third goalkeeper to get a Premier League game in twelve games). They never stood a chance really. It turned out exactly as we expected as well, give or take a couple of hairy moments. To be fair, Fulham did have one of those “you don’t get the luck when you’re down there” moments. You know exactly what I’m talking about, Mitrovic’s disallowed goal. OK, that should have stood but the quick thinking by Allison was everything a world-class goalkeeper should do. We paid £70 million for this lad and, I’ll say it again, he is already proving to be a difference in us between this season and last season. This lad isn’t just a goalkeeper, he’s an actual footballer. He isn’t the only guy making a difference now either. Enter Mr. Salah. I want to take you back about four weeks. Mo Salah constantly looked like someone had come into his house on Eid and pissed on his kids. He looked unfit, weak, out of form and unhappy. We also looked like we were over-relying on Salah to his detriment. It was almost sad to see this superhuman force from last season almost be reduced to once again becoming a mere human. But that’s what was happening. Mo Salah seemed to be losing his powers and it looked like it was down to the Egyptian F.A, whom Salah and his representatives had been feuding with due to a supposed use of Salah’s image rights without his permission. He looked lost and ill-at-ease with something. Could this have been it? Could this have been why Mo Salah was looking so down in the dumps? Well, it could possibly have been so. Because he came back from international duty in mid-October looking like a different man. He once again had a sprint in his step. The pace and the swagger were back in his game. He looked once again like he was ready to shoulder the burden – in fact, don’t mention shoulders and Mo Salah just yet. It’s still too soon. We can analyse the game statistically as much as we want but sometimes we have to look at things holistically. The top and bottom of this situation is that Mo Salah is happy again and it is apparent in his play. Sunday may have been a ‘meh’ result, but it meant so much more to have the main man backfiring again and looking happy. For that reason, ‘meh’ is good enough for now. Was Jurgen Klopp telling the truth yesterday?